Motorola DS3578-HD - SCANNER ONLY. 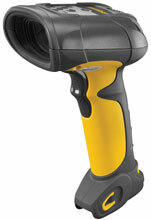 2D Imager, High Density, Cordless. Cradle, cables, and accessories must be purchased separately. The Motorola DS3578-HD20005WR is also known as SYM-DS3578HD20005WR	or DS3578HD20005WR	.